When you hear the term ‘allergy skincare’, what do you think of? Unless you’ve got a specific skin intolerance, the term might not mean an awful lot. But for those who suffer from extreme reactivity? Well, allergy skincare can be a lifeline. In support of Allergy Awareness Week (24th – 31st April), we’re shining a spotlight on how skin can be affected by allergy. There are so many people for whom extreme skin discomfort is a daily reality; reactivity can strike at any time in life, although, distressingly, symptoms like eczema can be more prevalent in babies and children. Research from skincare brand Mustela shows that up to 1 in 5 children suffer from eczema in the UK [¹], and it can have a significant impact upon the life of your little one. 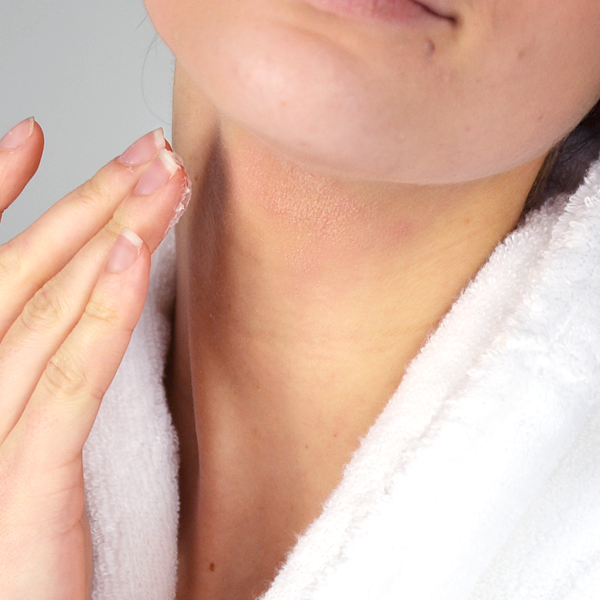 There are a number of possible causes for skin reactivity, including both internal and external triggers. A genetic predisposition plays a big part (Mustela’s research finds that if two parents have suffered from eczema, the chances of a baby having it can be increased by up to 80% [²]), while allergies to certain foods, animals or materials are common external causes. The level of discomfort and/or visible symptoms you experience can vary, but the desire is still the same – you want to be able to bring your skin back from the brink once more. How can I manage my skin allergy? First and foremost, don’t try to self-diagnose. If you or a loved one is suffering from long-term reactivity, seek advice from your GP and make sure that you get the help and support that you need. If you already have your diagnosis and you’re looking for ways to maintain the comfort and integrity of your skin, there are some stellar skincare ranges specifically developed for those with allergies, and they can go a long way to achieving better balance. This skincare tends to be split into two categories: compensating, protective care for the body geared towards skin that’s prone to eczema and atopic dermatitis, and lighter, more streamlined products for facial skin affected by a wide variety of allergies. 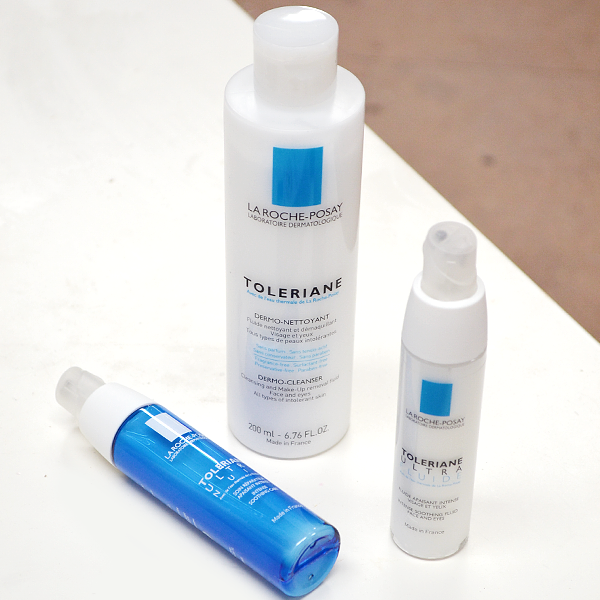 La Roche-Posay Toleriane is an incredible facial skincare collection for many reasons. First and foremost, it’s endorsed by Allergy UK, the country’s leading charity for those living with allergic disease. Secondly, the product mix is second to none! This is far from a one-size-fits-all range; Toleriane it caters for all skin types that suffer from reactivity, from dry to oily, and even includes Toleriane Ultra Eye Contour for the delicate eye area, makeup in the form of the Toleriane Teint Fluid Foundation and Toleriane Ultra Overnight, a night treatment for those looking to achieve around-the-clock care. • Toleriane 3-Step System Sensitive Skin Kit The perfect introduction to the range, featuring the Toleriane Dermo Cleanser, Thermal Spring Water Spray and Toleraine Ultra treatment. 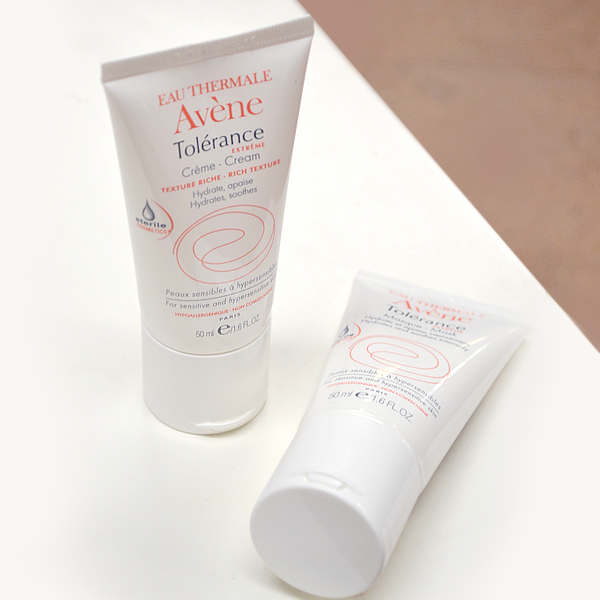 Avene Tolerance Extreme is a dream collection for those whose skin is affected by allergens. The answer as to why lies in its genius D.E.F.I packaging, which has a unique closing system that makes it impossible for air and bacteria to enter the tube. The result? A formula that can remain completely sterile without the addition of potentially irritating preservatives. In fact, each product in this streamlined facial skincare collection contains a maximum of just 8 ingredients, including Avene’s famous Thermal Spring Water, plus glycerin, plant squalene and safflower oil. It’s an exceptionally gentle option for those at the end of their tether. Looking for compensating care for the body? Avene’s range XeraCalm A.D. is created specifically for atopic dermatitis, and it features the same ingenious D.E.F.I packaging. • Avene Tolerance Extreme Cream This straightforward daily moisturiser protects and nourishes skin daily; it should be a staple in everyone’s skincare collection. And finally, a range specifically created for babies and children. 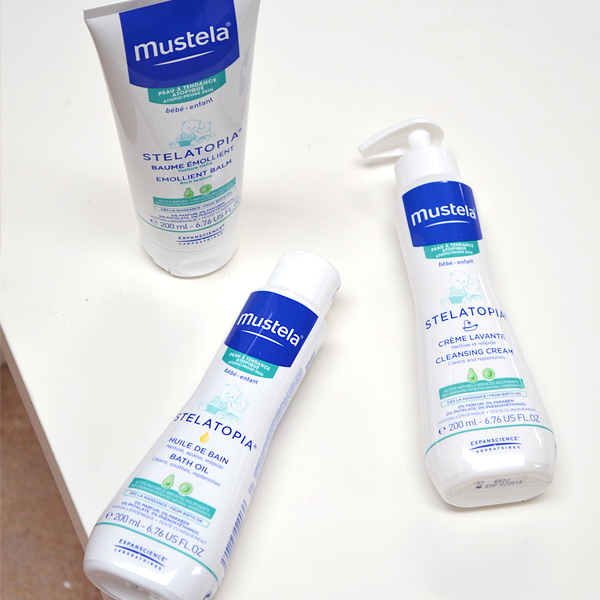 Eczema Mustela’s Stelatopia is all about strengthening the skin’s natural defences and restoring the damaged barrier of the skin, which can be severely compromised by eczema and atopic dermatitis. It can be really upsetting when your little one develops eczema; a vicious itch/scratch cycle can begin before they’re even 6 months old, which has the added complication of discomfort and sleep disruption. Stelatopia isn’t just designed to support and moisturise your skin after these symptoms develop, though. Research shows that the daily application of an emollient from birth on newborns with a family history reduces the probability of the appearance of clinical signs of atopic dermatitis by 33% to 50% [³]. • Stelatopia Emollient Balm An iconic all-over body moisturiser suitable from birth onwards, enriched with lipid-replenishing ingredients. 95% of users agree it relieves itching [⁴]. [⁴] Clinical study, performed on the Balm and Emollient cream. Perceived efficacy in reducing itchiness, self-assessment under dermatological control among 40 infants and children with atopic-prone skin over a 21-day period. This entry was posted on Tuesday, April 25th, 2017 at 5:59 pm and is filed under French Pharmacy, Skincare, Special Post. You can follow any responses to this entry through the RSS 2.0 feed. You can skip to the end and leave a response. Pinging is currently not allowed.